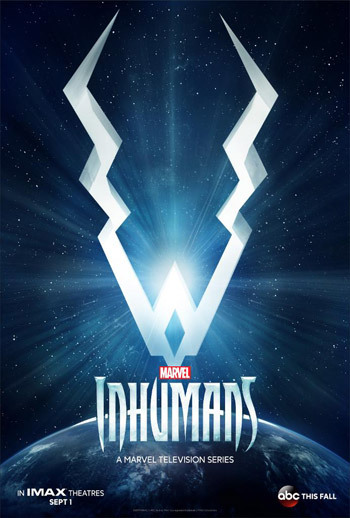 Anson Mount, Serinda Swan and Ken Leung star in the live-action ABC TV series Marvel’s Inhumans, based on Marvel Comics. The series will premiere next fall, with the first two episodes debuting in IMAX theaters in early September. The cast for the series includes Anson Mount (Hell on Wheels) as Black Bolt, Serinda Swan (Ballers, Graceland) as Queen Medusa, Ken Leung (Lost) as Karnak, Iwan Rheon (Game of Thrones) as Maximus, Eme Ikwuakor (Concussion, Extant) as Gorgon, Mike Moh (Empire, Street Fighter: Assasin’s Fist) as Triton, Sonya Balmores (Beyond the Break, Soul Surfer) as Auran, Isabelle Cornish (Australia Day, Puberty Blues) as Crystal, and Ellen Woglom (Californication, Outlaw).